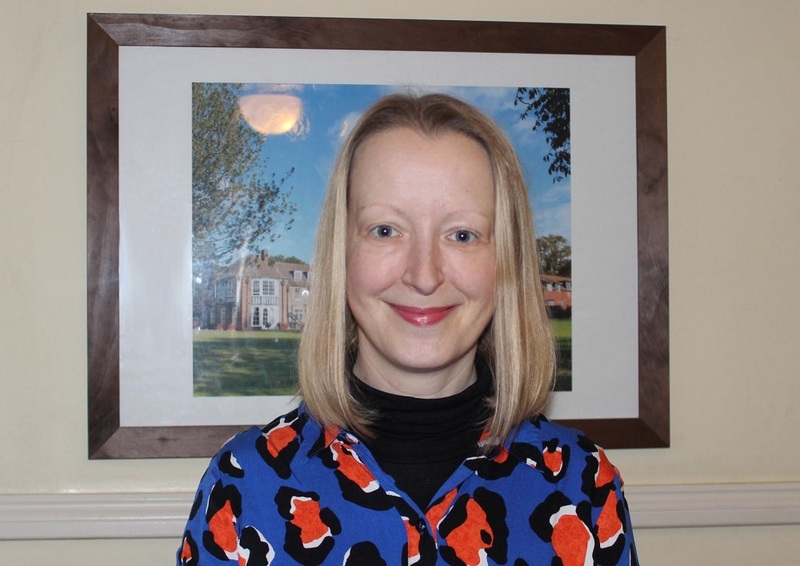 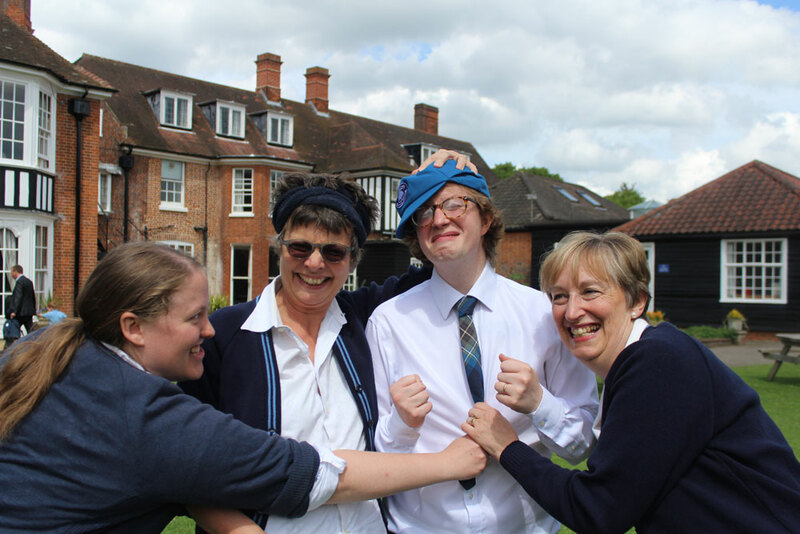 Leavers Day (and teachers behaving badly) | Hethersett Old Hall School (HOHS) blog - an independent day and boarding school near Norwich, Norfolk. 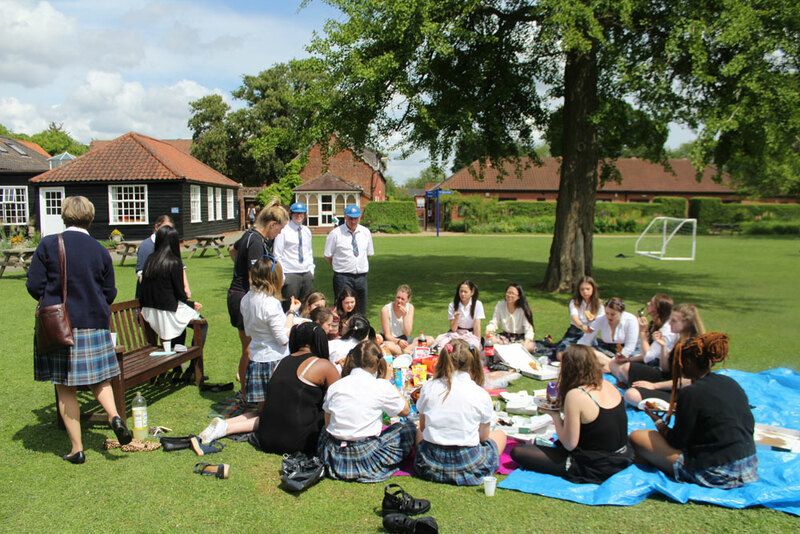 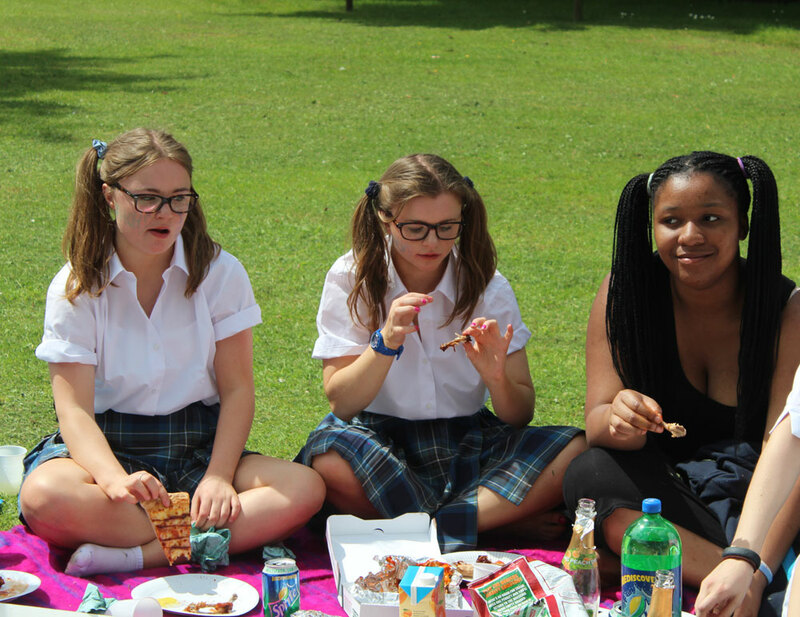 Last Friday our Year 13 pupils dug out their old school uniforms for one last time and celebrated the start of their study leave with a picnic in the grounds. 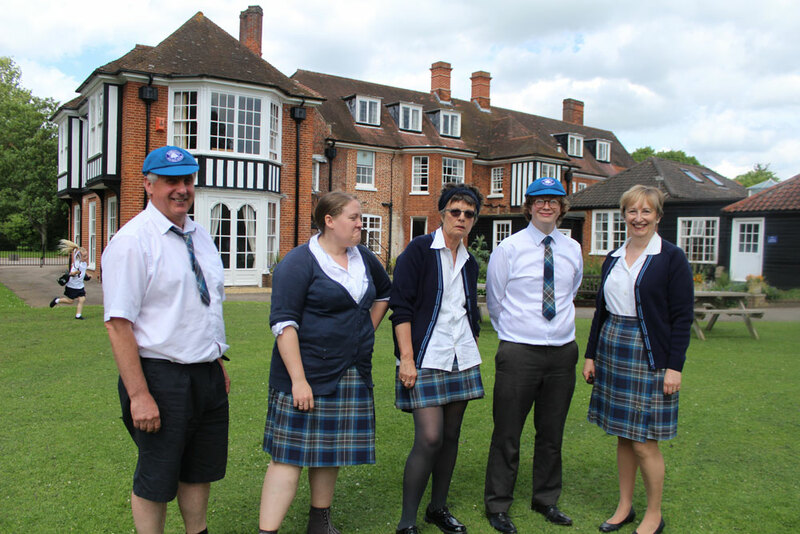 Not wanting to miss out on the fun – or perhaps the chance to behave badly – some of the teachers also decided to try on the kilts, ties and caps for size. 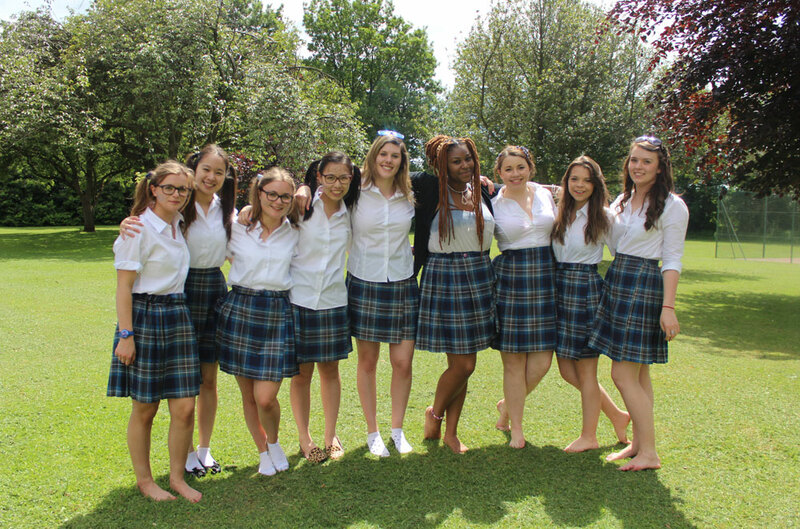 Clearly some of them hadn’t read up on the HOHS uniform dress and appearance regulations first..
See more photos from the day. 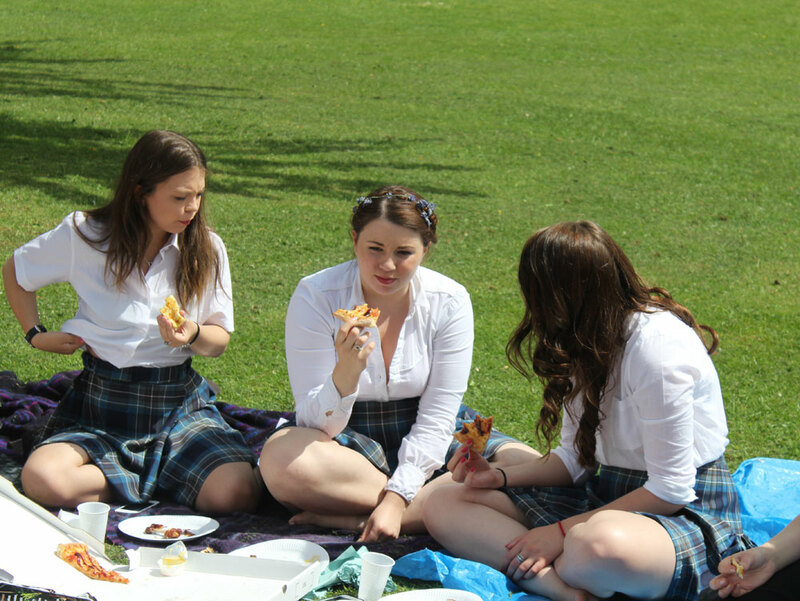 Categories: PHOTOS, SCHOOL LIFE, SENIOR SCHOOL, SIXTH FORM | Tags: 6th form, girls boarding school, Hethersett, Hethersett Old Hall School, HOHS, Independent School, last day at school, leavers day, norfolk, Norwich, picnic, private school, senior school, SIXTH FORM, study leave, teachers dressed up, Upper VI, Year 13 | Permalink.